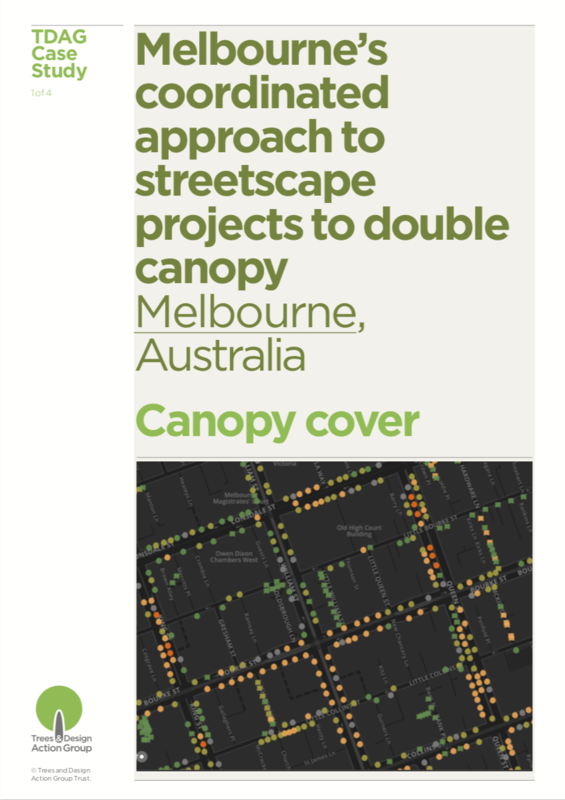 ​Melbourne is aiming to double public realm canopy cover from 22.5% (2011 baseline) to 40% by 2040. To achieve this goal set in Melbourne’s Urban Forest Strategy (2012), the council’s urban landscape department, which leads strategic planning, management and capital investment for the city’s public open spaces (including parks, gardens and the “urban forest”), conducted a comprehensive survey of Melbourne’s street trees. The survey looked at species, size and condition to assess the safe useful life expectancy of each tree. This database was then used to model how the canopy would evolve under different circumstances, including a “do nothing” scenario. 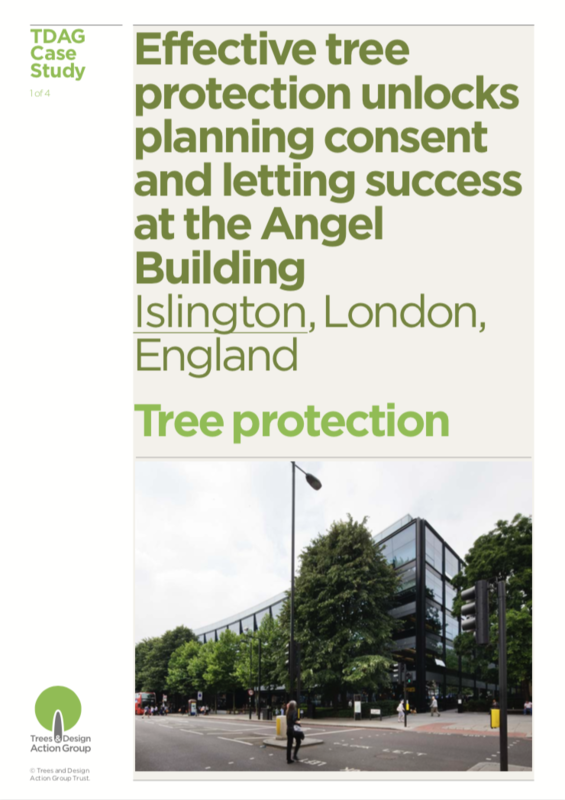 The modelling showed that reaching the 40% canopy cover target would require planting an average of 3,000 trees a year over the next decade. The modelling did not focus exclusively on tree numbers but also considered how the tree planting conditions would affect canopy size. 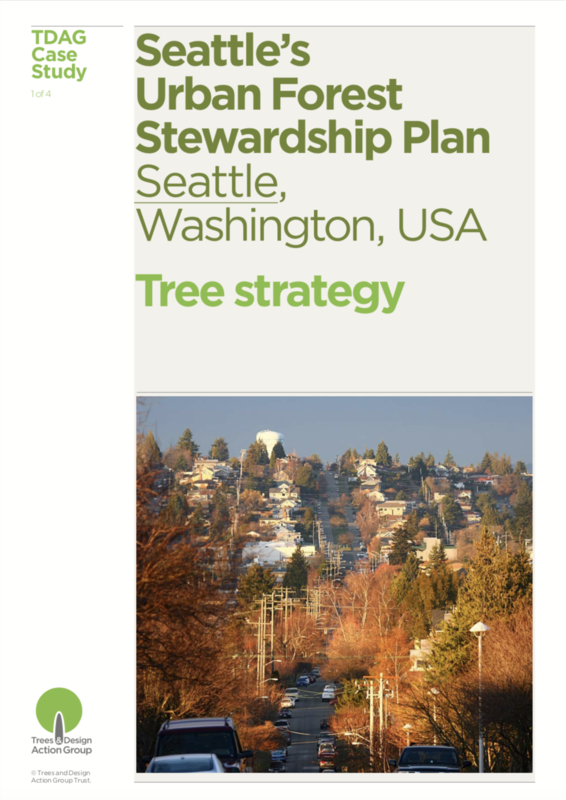 The City of Seattle introduced the Urban Forest Management Plan (UFMP) in 2007 as a guiding document to help address the needs of the local urban forest. Based on local canopy cover data available at the time, assessments of opportunities and challenges for protection and planting as well as benchmarking with other cities, the UFMP set a goal to increase the city’s canopy cover from 18 percent (2001 rough estimate, error margin unknown) to 30 percent by 2037. 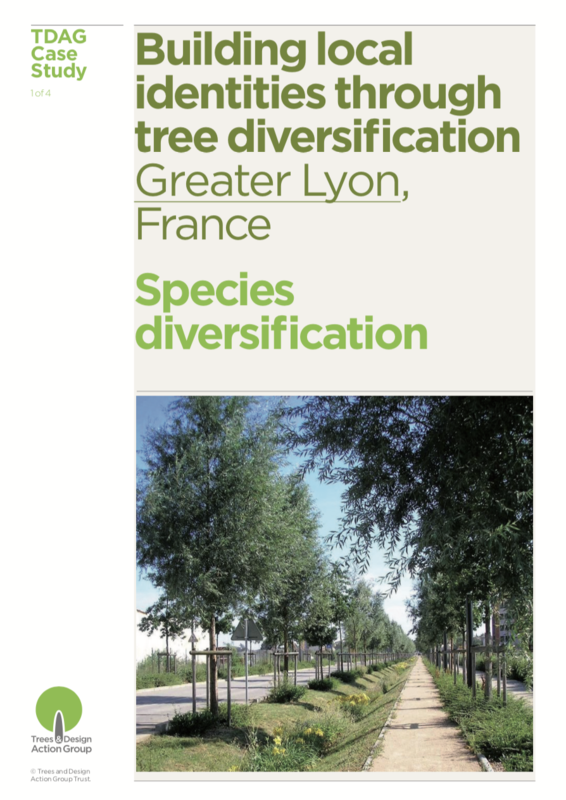 Because capacity for tree planting or management in an industrial setting is very different from that found in residential neighbourhoods or in parks, the UFMP considered the opportunities and challenges for tree protection and planting in nine land use categories. Goals for canopy cover increase were set for each. The UFMP also defined a framework for City departments, non-profit organisations, residents, and the community as a whole to support efforts to grow and care for the urban forest.